Prominent & Leading Manufacturer from Mumbai, we offer promotional pen drive, sandisk pen drive, pen stylus pen drive, wooden usb flash drive, stylus bat pen drive and u-clip pen drive. A huge assortment of excellent Promotional Pen Drives, which is precisely designed and made with the support of modern tools and technology, is being provided to all our customers. Our range is widely used and extremely applauded for their optimum performance and durable life. Due to our proficiency in this field, we are engaged in presenting Sandisk Pen Drive. We are presenting these products to customers within given time-frame. Black polished pen stylus that will provide sufficient protection for your pen drive and you can carry confidential information without making it obvious that you are carrying a pen drive. it even works as a pen so you can take quick notes whenever necessary overall it is would make a decent corporate gift to strengthen the bond between the client who has been loyal to your company for a long time and your company, get your brand name printed on it and it will also help you promote your company in the required circles. 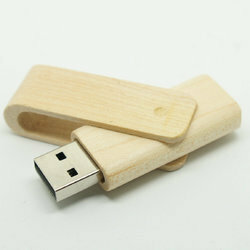 We are engaged in manufacturing, trading and exporting a wide range of Wooden Shape Pen Drive. This pen drive is a plain simple style of a stylus. one side is the black ball structure which can be used as a stylus, while on the other side is the male connector. 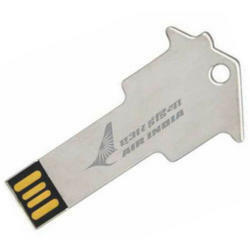 The middle flat body of the pen drive is a good area to print your own custom logos and designs. it comes in many sizes from the 1gb to 32gb. It is compatible with Windows OS and the Mac OS. It fits easily in the pockets and good to carry everywhere. The USB interface of this pen drive is 2.0. Smallest one of our pen drive offerings this USB key can carry your data just as securely as any other device, its small size makes it possible to store the data anywhere it even has a space where you can print the name of logo to spread knowledge about your firm, it is a decent promoting strategy and will reach the required people. This product has been created from high-quality material so don’t let the slight build fool you it might look simple but it is a useful pen drive to have. 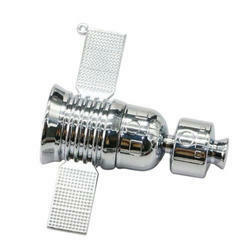 This product looks like a miniature toy satellite, but it is a pen drive. It has a smooth metallic finish on the surface. The middle portion is turned round to open the male connector. It comes in many standard sizes from 4gb to 32gb. The USB interface is 2.0 and 1.1. It has a data retention time of 10 years. This product is an ideal one for gifting. It is compatible with Windows OS, Mac OS, and Linux, although it requires a driver on the older Windows versions. It is easy to store and carry around. This is a very simple design for a pen drive. The long rectangular shape of this product comes in black color. It comes in many standard sizes of 4gb to 32gb. The USB interface of this product is 2.0 as well as the 1.1. It has an amazing performance of reading and writing speed and the data transfer rate. On the one side, the removable cap protects the male connector which can be used by removing it. 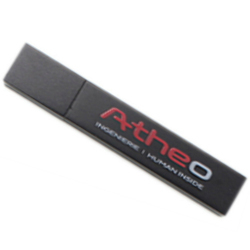 The long body of the pen drive can be used to do a custom print of logo or any other design. This product is a simple pen drive which looks like a flat house on one side. On the other side, it has a male connector. it comes in a metallic material and has a silver color on it. The USB interface is 2.0. It can be ordered in many sizes ranging from 4gb, 8gb, 16gb, 32gb, and 64gb. It has a very good read and writes speeds, which depend on the PC processor and RAM in the end. 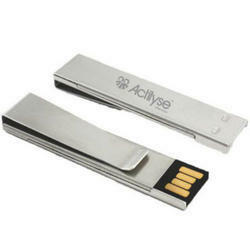 It is good for the business professionals on the go and as a gift item. 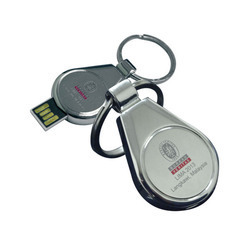 This key-shaped metallic pen drive has a silver color on it, with one side for the male connector and the other side for the keyhole, due to which it can be used as a keychain too. It is compatible with all the operating systems on the PC and works on the USB 2.0 interface. It has an average read speed of 15 Mbps and an average write speed of 6 Mbps. The long rectangular body of this product can be used to print your own custom designs or logos. This flat bottle pen drive has a unique design, it is a flat bottle small size, it has a hole on one side in which you can insert a rope like attachment to safely keep it as a keychain. On the other side, the bottle cap is opened to reveal the male connector of this pen drive. It is of metallic material and has a silvery metallic color on it. The flat long part is ideal to customize with your logo or any other design as you want. It comes in various sizes from 1gb to 32gb. This pen drive is silver metallic in color and is of the metallic material. This very simple looking product has a clip on one side, with which you can insert this pen drive like a pen in your shirt pocket. It is perfect for business executives and other professionals who are always busy and on the go. The product dimensions are 2.18″ x 0.49″ x 0.22″, and you get 1.5″ x 0.3″ area to imprint anything you want. It comes in 1gb, 2gb, 4gb, 8gb, and 16gb sizes. The USB interface is 2.0. 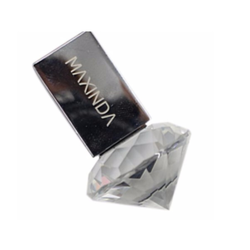 Designed to look like a jewel the name of this pen drive speaks for itself, it is elegant, modern and could actually be pretty great promo gift for a woman client or employees who love their jewels. Other than that you can choose the capacity, this pen drive is built for durability don’t go on the crystal look it is sturdy and will last you for a long time. Furthermore, it will also store your data so it can be a cool accessory as well as an important one that you can carry even to an important meeting. This product looks like a fancy keychain, but actually, it is a pen drive. It has a space of 8gb and the material is metal. You can also get it in other sizes like 4gb, 16gb, 32gb etc. It comes in silver color. The bottom part has the male connector whereas the top part has the circular key ring on it. it is compatible with all the PC operating systems and it has a good write and read speed. it fits easily in your pockets or as a keychain too.